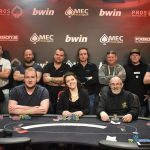 Day 1C started at 13:00 in Casino de Spa. Players could register around 12:00 and when the tournament started all places were book. Luckily most players could get a seat on the alternate list. At the end of the day there were 305 entries and 58 players made it to day 2. 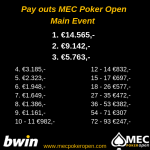 Before the MEC Poker Open started we already know that day 1C was by far the busiest day. Just before 4 April all online tickets were sold out. During the event players from 1C wanted to play day 1B instead and that made it possible for players to register for day 1C at saturday. Even then there was an alternate list of around 50 people wich included we had to open an extra table to make sure most of the people could play the Main-Event. 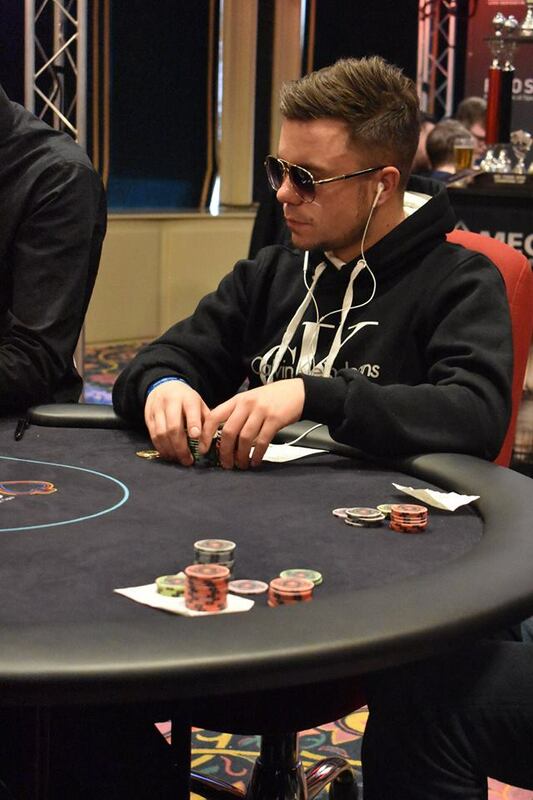 One of the players who played day 1C was Ruurd Nauta. Yesterday he busted just before the end of the day and today he had some bad luck. Just before the dinnerbreak he got All-in with AT against AK on a AT2 flop and was in pretty good shape to take the chiplead of the day. The K on the river decided otherwise and Ruurd got eliminated. His opponent Patrick de Brock took the chipleader because of that hand. Luckily for Ruurd he could re-entry just before the late registration was closed. 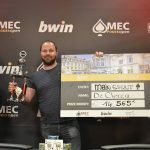 Trifon Pappas, a Belgian Player with a good reputation with several APAT tournaments winnings in Namur and Spa, tried to qualify for day 2. His first bullet wasn’t a succes and he had to re-entry the tournament. Eventually he didn’t make it to day 2 and got eliminated at 61th place. The first player to bust was Erwin Langedijk, he played for only 27 minutes before he busted the main-event. He did a re-entry, but busted just before the dinnerbreak. The Dutch owner of OneTime, Armijn Meijer, was seen at day 1C. 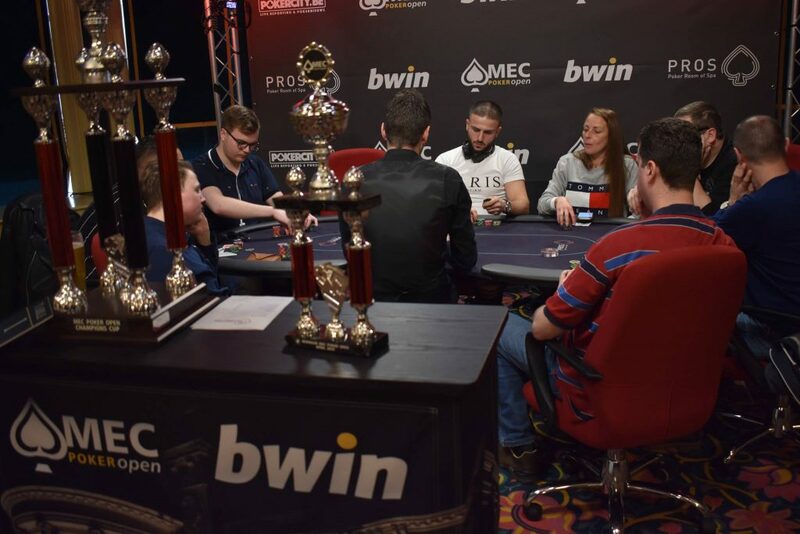 Before the start of the tournament he placed a message in the MEC Poker Open community that he was exciting to player live poker again. Unfortunately he got eliminated at 249th place. The Open Dutch Championship Poker winner Guy van Ginderen got eliminated just before the end of the day. He got eliminated at 70th place. The Dutch player Emile Cox, who has won 2 APAT Main-Events, was one of the main players to watch. Just after Guy van Ginderen he had to leave the playing field too.